The installation manual for each residential door model can be found under the "Technical specifications" tab of each product page or by clicking on "Installation Manual" at the bottom of the home page. To access residential door models click here. 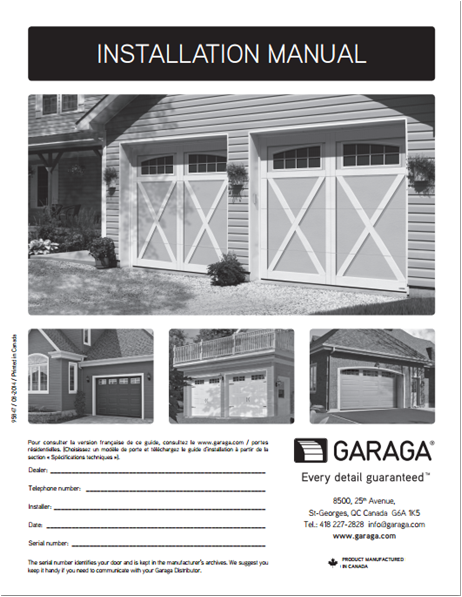 Alternately, you can download the Installation Manual for Residential Garage Doors.